Tokens of military history have performed especially well at auction in recent months at McTear’s, and this month an impressive collection of military headgear is certainly one of the most fascinating features of the Furniture, Works of Art, Medals and Militaria auction. In the close wake of Remembrance Day, a time traditionally dedicated to the remembrance of those who have fallen in previous conflicts, the bravery and courage of previous generations is not far from mind. For many, interactions with facets of military history – perhaps an important part of a military ensemble worn by a soldier of the past, a piece of weaponry or a medal - can bring home the sacrifices of our ancestors. The fine pieces of military paraphernalia which remain from past conflicts, such as those in this month’s auction, persist as artefacts from bygone generations that present the opportunity to bring us closer to what has gone before. The collection of nine military caps in this month’s auction features examples from across Europe, including Austria, Germany and Scotland. 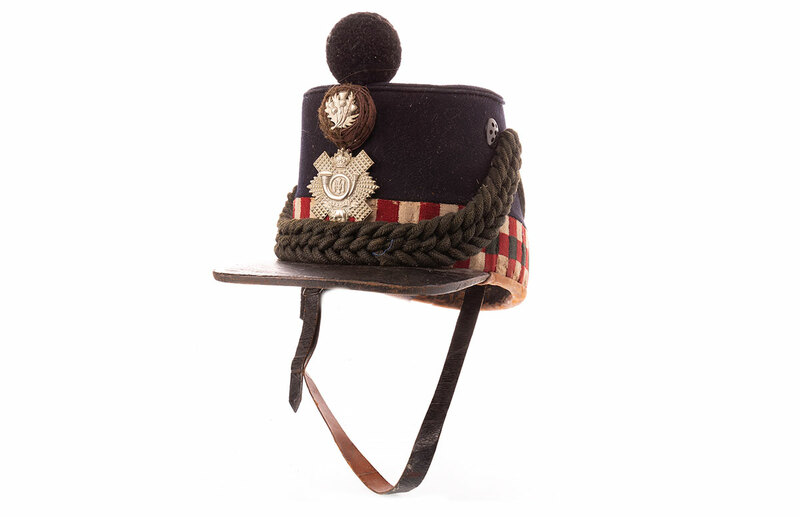 One attractive piece is lot 976, a Highland Light Infantry Shako (a Shako can take the form of a cylindrical or conical military hat, with a peak and plume or a pom-pom), complete with cap badge. This Shako comes with an auction estimate of £600–700. 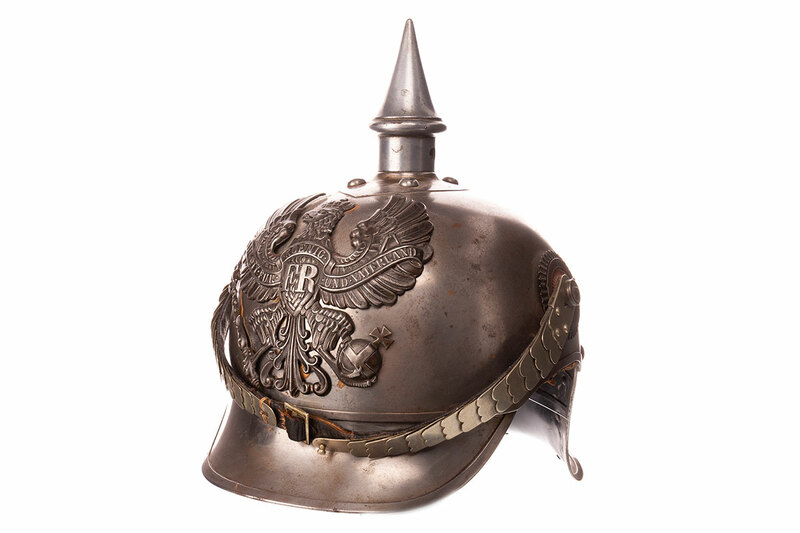 Another lot of note is lot 981, an imposing 19th Century German Prussian heavy cavalry steel Pickelhaube (a spiked German helmet), adorned with an intricate cap badge. This fine piece has an auction estimate of £700–800. Brimming with lots that are bound to appeal to the military collector, the auction on Friday 23 November comprises not only some extraordinary pieces of military headgear but a number of extensive collections of war medals and cap badges, alongside a variety of swords and other interesting pieces of military ephemera. The Works of Art, Medals, Militaria & Furniture Auction takes places every six weeks. Come along to the Valuation Days at McTear’s on Tuesday, Wednesday and Thursday this week for complimentary auction advice.